← Parkrun. It’s running…in a park. With so many races planned over the summer I can’t realistically expect to do a piece on each, and anyway unless there is any particular controversy or newsworthy incidents it would make dull reading very quickly! Suffice to say I ran this event on Sunday 7th April, and whilst lacking in newsworthy controversy it was lovely! A classic example of a small event (305 runners) organised by a local club (Cirencester A.C.) which was done very well. You wouldn’t want a whole blog post about ample parking/smooth registration/lots of marshalls/adequate water stops etc so I won’t bother, but it was all there. The course was beautiful, with only a few hundred metres of road to start and finish. The rest of the trail was dry, undulating and incredibly scenic. There was a very cold river crossing at around 5 miles and miles 7-9 included one horrific hill and two mildly terrifying ones, but there was great support from other runners and a really lovely atmosphere throughout. I’m happy with 1hr37min although the splits show I was silly slow in the climbs, so back to hill training I go! 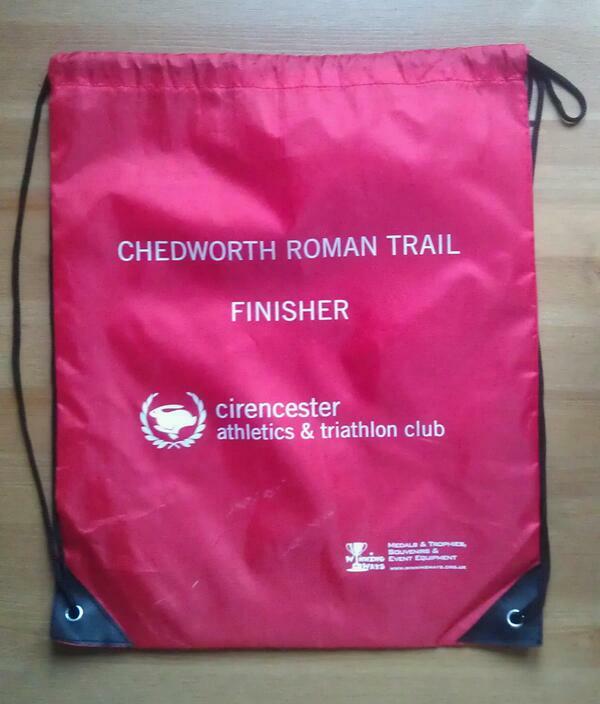 The only disappointment was the finishers memento, an empty red drawstring bag. I’m sure it will come in useful but it isn’t race bling and looked silly hanging around my neck in the pub afterwards! Overall though I recommend it, I will definitely be back and it has inspired another post for the future about local events, so all good. I’ve not written much on these pages about my other training mistress, my mountain bike. That’s primarily because I haven’t ridden much in the last 6 months what with injury and then focusing on running events. It came as something of a shock then to realise that this weekend I’m riding the 50km Hell Of The North Cotswolds off-road bike event. The H.O.N.C. is an annual tradition for my friends and me, with varying degrees of application. In my early years it was a long slow day in the saddle with lots of walking up hills, in marathon year it was a training ride over by lunchtime, but this year…rumour has it this could be the first year we actually take spending money for the pubs on the way! Even so, with my first adventure race 6 weeks away, followed by the Wild Boar Chase and talk still of Mountain Mayhem I’ll be devoting a bit more training time to being in the saddle, so I hope you’ll enjoy my take on riding as much as on running. First up will be the tale of the H.O.N.C. Wish me luck! 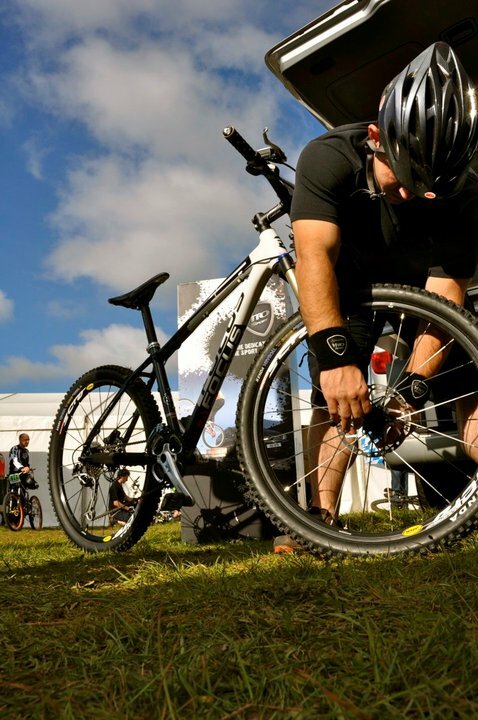 This entry was posted in Events, Riding, Running, Two Things Tuesday, Uncategorized and tagged fitness, HONC, Mountain biking, outdoor fitness, Riding, running. Bookmark the permalink.